Ever wanted to play the drums? This is the closest you can get without a real kit. This is a fun app for drummers and non-drummers alike. Impress your friends with your chops, or play along to songs from your iPod Library. Coming soon as a free update: Recording, iPod play along in-app, Metronome, portrait mode, and all the other features you love from the iPhone version. Launch the iPod app and play the song you want. Then launch Drum Kit XL and play along to it. 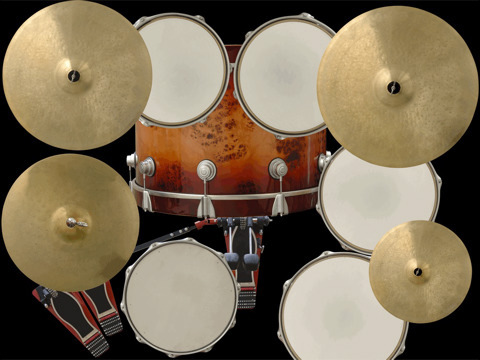 Soon you’ll be able to play the song from within Drum Kit XL itself.